We love hearing from our fans all over the world and it's lovely to receive their orders too. We are aware of course that there are some issues regarding international shipping. At the moment, shipping to UK addresses is free because the costs are relatively small and we can absorb those. With international orders even the cheapest method is relatively expensive and can be unreliable. Some time ago we took the decision to use Royal Mail International Tracked and Signed (even though this isn't the cheapest option) because we found that occasionally items went astray. Track and Sign gives us more confidence that the items will actually get to you. 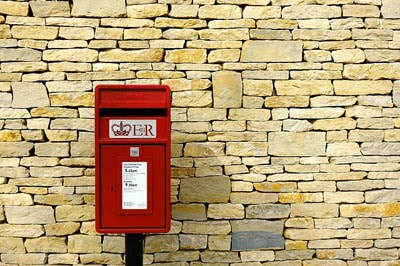 If however the item isn't delivered, we get compensation from Royal Mail and can replace your order quickly. Secondly, the UK system of PayPal differs from the US one and is slightly less flexible to implement. At the moment, if you are ordering items from anywhere outside the UK, you have to add the items you want to your shopping cart and then add international postage according to your 'World Zone'. Of course ideally this is something that would happen automatically at the checkout. But making this happen through PayPal is proving surprisingly tricky. We are working on fixing this — even if it means going to another payment system provider — but until we do, we are stuck with this slightly cumbersome method. There is an alternative though. If you having trouble ordering through our site you can instead simply email us with listing the items you want, plus your full postage address, and we can send you a PayPal invoice. This is often much the easiest method as you avoid all the shopping carts and technical issues on the site. If you have any queries though, contact us and we'll do our best to help.